Sam E. McQuade, BNI’s new CFO, joined BNI at the end of July and will succeed Pat Clement who is retiring after 40 years with the company. McQuade brings an extensive and diverse business background to BNI in finance, accounting, mergers and acquisitions, and strategic leadership. 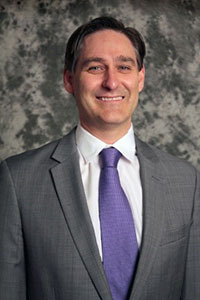 He earned his accounting degree in the United States and his MBA in Switzerland, where he began his professional career. McQuade returned to the U.S in 2004, living in the greater New York City area and traveling the world on business. He returned home to North Dakota in 2013 and became CFO of AE2S in Grand Forks. 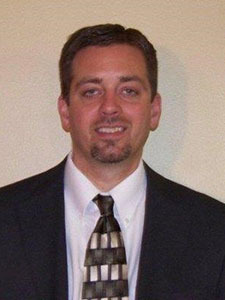 Paul Quist has joined BNI Energy as Manager of Business Development. The Manager of Business Development position was created to better position the company to execute its go-forward strategy. Paul will be leading BNI’s growth initiatives and supporting our energy solutions initiatives including the Allam Cycle initiative. Paul was previously employed with ESCO Supply managing their operations in North Dakota and Minnesota. Prior to joining ESCO, Paul worked with Basin Electric in their business development and CO2 marketing functions. He played a key role in Basin’s acquisition of Montana Lime Stone and Dakota Gasification Company by-product market development. Paul is also an adjunct professor at the University of Mary teaching economics. Paul and his family live in Bismarck. Paul was elected to the Lignite Energy Council Board of Directors in 2015 and subsequently in 2016. Consequently, Paul is very familiar with the Lignite Industry, has great contacts within the Energy Industry, and work experiences that complement our team nicely. The culture, values and strategic vision of BNI/ALLETE attracted Paul to BNI. I think Paul is a great fit with our team and culture and am excited to have him on our team working closely with us to execute our go-forward strategy.